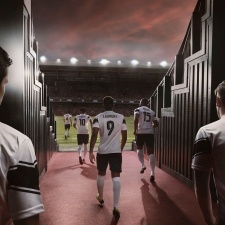 Football Manager 2019 starts the season strong as it opens at No. 1 in this week’s Steam Top Ten. Pre-orders for the latest in Sega’s long-running management sim showed promise. Football Manager 2019 has scored a hat-trick in the upper half of the Top Ten after the game, making it to No.3 in the last two weeks before launch. The Witcher 3: Wild Hunt secures a place back in the chart at No.2, likely due to the overwhelmingly positive response to Henry Cavill’s screen test as Geralt. Or it was a hefty holiday discount, who can say. A 75 per cent price cut brings Dark Souls 3 to No.5 in this week’s Top Ten Divinity: Original Sin 2 follows in sixth place, following a 33 per cent slash to the RPG’s price over Halloween. Call of Cthulu revealed its slimy, unknowable face at the very end of October. Cyanide’s take on the Lovecraft story opened at No.7 in the Steam chart. While Assassin’s Creed Odyssey launched a major free piece of story content over the weekend, the Greek stab-’em-up has slipped four places down to No.8 this week. Two survival games close out the Top Ten this week, with The Forest and Rust re-entering the chart at No.9 and 10 respectively. Below is the Steam Top Ten for the week ending November 3rd.